Running a business is like walking a tightrope. You’re only one missed step away from either losing a client or losing a staff member. Every single year, many a management team or human resources department rolls the dice in determining which they are more willing to lose, albeit with abysmal results. The truth is that you don’t need to worry about chasing away clients or running off employee’s based on your bottom line. What you need to do is to find a comprehensive solution that will help you find that balance, that Zen that will keep your company humming along while having the best of both worlds. Dovetail is one of those companies that might just be able to help you walk that fine line with an outstanding outcome. 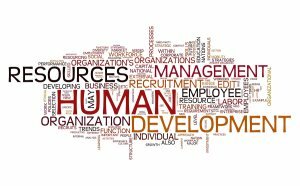 This software company provides a robust support suite for HR departments that helps to automate your processes. The biggest advantage of this is that you omit routine, mundane tasks that might otherwise be time consuming by allowing the software to do the legwork for you. Although this company has been in business since 1996, you might not recognize the name. This is because when originally founded, they were called First Choice Software. Now known as Dovetail, they continue to provide outstanding customer service to their clients across the globe. The biggest complaint from management and human resources departments alike is that they find that they spend most of their time on the floor or in their office fielding questions from staff instead of getting their own work done. Dovetail helps by helping to manage requests that come in from employees with their web-based reporting tool. Anywhere between 40-and-70 percent of staff members who use Dovetail’s self service portal find the answers that they are looking for, and don’t need to be refereed on to the human resources generalist (HRG). Of those that do, only about 30 percent need to move forward to the HR Specialist after the HRG wasn’t able to fulfill their request. Less than 5 percent of requests need to be put through to one of the business partners for fulfillment. By keeping all of your information in one place, you are minimizing the risks associated with a serious malfunction, act of nature, or power outage. Keeping your human resources information in the same place means that you’re also omitting the costs associated with disaster recovery elsewhere. Forget about managing multiple spaces when you can keep everything exactly where you need it and access it when you need it. You’re reducing the instance of an escalation every single time an employee uses the portal as well. With a search function embedded within the software, employees need only enter a search term to find out if their question has been asked before. Dovetail does have its advantages, just as it has its place in your organization. If you have found that you spend far too many hours responding to employee inquiries, then it is an incredibly beneficial solution for your company.